I got a very interesting email from Terhesa about transportation in emergencies such as the earthquake in Japan. She brought up some good points about the advantages of having a solar powered form of transportation for this type of disaster. She pointed out that the delivery and dispensing of gasoline depends on electricity at many stages. 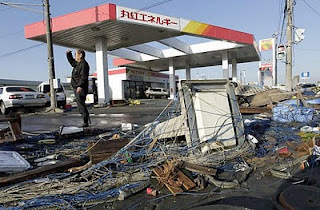 This means that many of the people in the area effected by the Japan earth quake and similar disasters are unable to use their gasoline powered vehicles. In some areas, it seems likely that this will be the situation for quite a while. Most of us live in areas that are subject to natural or man made disasters that could result in extended periods without electricity, and since the gasoline delivery infrastructure depends on electricity, we would also be without the use of our cars. In times of emergency, not having transportation could be more than an inconvenience -- for example not being able to evacuate a hazardous area. Having some form of independent transportation could also be very important for procuring supplies during an extended natural disaster. 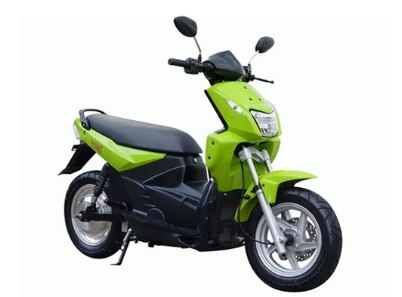 Terhesa suggested that buying a solar powered scooter or bicycle not only gives you a good, low cost, green form of transportation for normal times, it also provides a means of transport that keeps working in case of disaster -- even extended disasters. I think this is a great idea. Your second-to-last link is 404. It seems OK to me? Maybe it was out for a while? Thanks Jan -- I seem to be having a tough time with links this week. Tornado and hurricane season is right around the corner. A few minutes now may be what saves you and your family. Solar energy is a completely renewable resource. 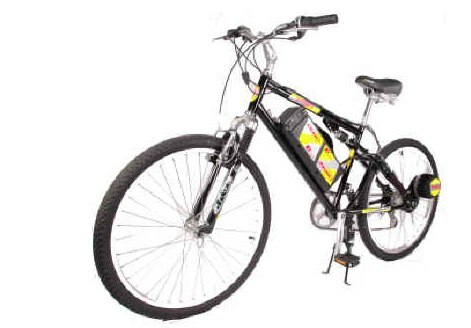 Solar transportation system is the very important because oil is currently using by people, and it is not a renewable resource.